SEBAHAGIAN masyarakat masih ada yang tidak mengetahui mengenai penghasilan negara dalam pengeluaran batu kelikir. Penulis masih ingat bahawa ianya bertempat di Kampung Butir, di tebing sungai menuju ke Daerah Temburong. Para pekerjanya terdiri daripada kaum lelaki yang berbadan tegap dan bertenaga. Kebanyakan pekerja-pekerjanya berasal dari Kampung Saba dan Kampung Tamoi Tengah. Batu kelikir diangkut dari Kampung Butir menuju tebing Sungai Kianggeh dengan menggunakan perahu besar yang dipanggil sebagai ‘Perahu Tongkang’. Mereka mengambil batu-batu kelikir itu sejak awal pagi lagi. Setelah batu-batu kelikir itu dimasukkan ke dalam perahu, ia kemudiannya dibawa ke Sungai Kianggeh. Selepas itu, batu-batu tersebut akan dipunggah dengan menggunakan bakul yang diperbuat daripada rotan. Para pekerja akan menuangnya (memasukkannya) ke dalam petak kayu khas yang telah disediakan secara bergilir-gilir. MENGIMBAS kembali keindahan suasana ibu kota Bandar Brunei pada satu ketika dahulu di era tahun 1958 di mana bangunan-bangunan belum banyak didirikan, begitu juga kedai-kedai perniagaan yang menjual barang-barang keperluan. Manakala ahli perniagaan berbangsa Cina sudah awal bertapak menjalankan perniagaan mereka di bandar ini. 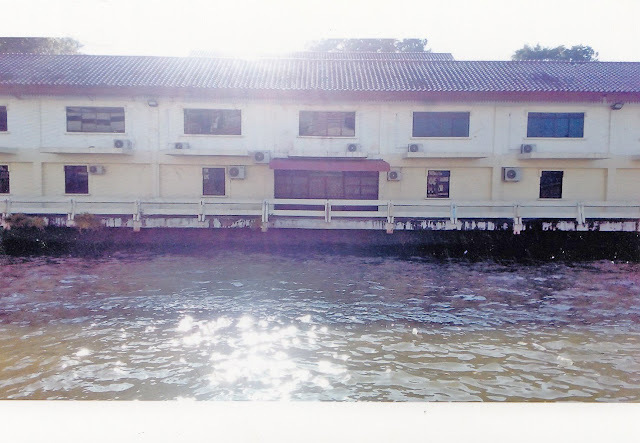 Mereka menjual barang-barang keperluan dapur dengan menggunakan perahu dari sebuah kampung menuju ke sebuah kampung yang lain di Kampong Ayer pada masa itu. Dalam gambar yang diambil dari atas menara Masjid Omar ‘Ali Saifuddien, Bandar Brunei (kini Bandar Seri Begawan) pada masa itu kelihatan begitu lengang. Namun pada masa ini, Alhamdulillah banyak kemajuan dan pembangunan telah dicapai dan giat dilaksanakan. Kemudian rumah-rumah di Kampung Sultan Lama pula sejak dahulu lagi telah didirikan berdekatan dengan tembok tebing sungai. WE can acknowledge that the monarchial system could be the source of Brunei’s survival, hence the existence of the Malay Islamic Monarchy (MIB). As long as the country practises the monarchial system and upholds Islam as the official religion, the Malay legacy will be preserved in all areas of life such as culture, education, administration, business, agriculture, land, economy, etc. THE ambitious ammonia and urea plant, set to be established by Brunei Fertilizer Industries (BFI), will create 1,000 jobs in the construction phase and a further 200 jobs during the operational phase. The plant will also generate 600 indirect jobs in the service sector. This was stated by the Minister at the Prime Minister’s Office and Minister of Finance II Pehin Orang Kaya Laila Setia Dato Seri Setia Awang Haji Abdul Rahman bin Haji Ibrahim in his keynote address at the Engineering, Procurement and Construction (EPC) Agreement signing ceremony yesterday. All construction activities including infrastructure projects are now geared towards realising and delivering this project on time for production by 2021, he noted. DATO Seri Setia Awang Haji Ali bin Haji Apong, Minister of Primary Resources and Tourism, yesterday lauded the efforts of the Ministry of Home Affairs, Ministry of Culture, Youth and Sports, Tutong District Office, Tutong District Tourism Promotion and Coordination Body, Village Consultative Council Committee and the Tutong District community in actively promoting tourism products and services to both local and foreign visitors. 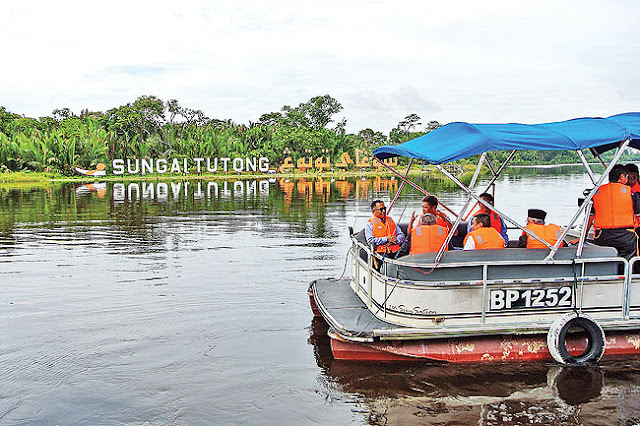 In his speech at the launching of eight new Tutong Destination Packages, the minister also highlighted the popularity of the Tutong District among Bruneians, saying, “People come from all districts to queue as early as 6am, to buy ‘rojak’ and wrapped glutinous rice (pulut panggang). PRESERVING the Malay Language in the 21st Century is a particularly daunting task, given the diminishing use of fluent Malay among native speakers, as well as in government and non-government departments, educational institutions, commercial areas, radio stations and national television. 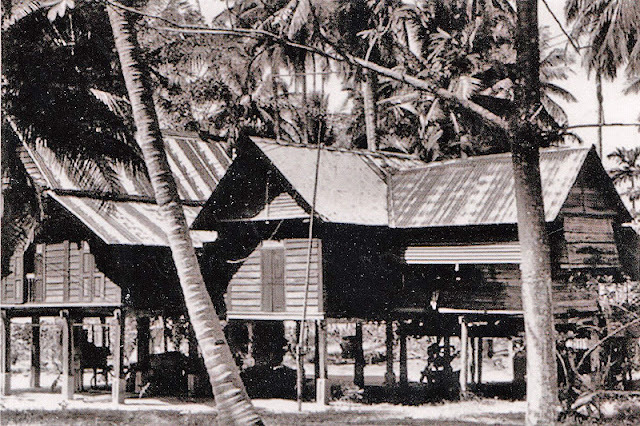 Could it be possible to revive Malay as part of our country’s identity and culture? 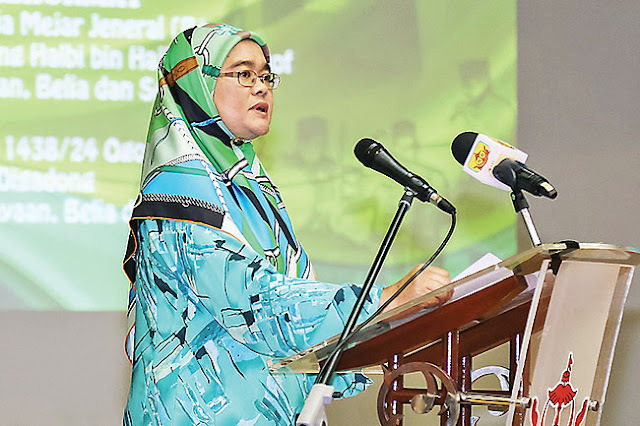 This question was raised by Pehin Datu Lailaraja Major General (Rtd) Dato Paduka Seri Haji Awang Halbi bin Haji Mohd Yussof, the Minister of Culture, Youth and Sports, in a speech that was read out by Datin Paduka Dr Hajah Norlila binti Dato Paduka Haji Abdul Jalil, the Permanent Secretary at the Ministry of Culture, Youth and Sports, at the launching of Language Month yesterday, organised by the Language and Literature Bureau (DBP). THE Brunei Islamic Religious Council (MUIB) announced that His Majesty Sultan Haji Hassanal Bolkiah Mu’izzaddin Waddaulah ibni Al-Marhum Sultan Haji Omar ‘Ali Saifuddien Sa’adul Khairi Waddien, Sultan and Yang Di-Pertuan of Brunei Darussalam has consented for the appointment of new members of the MUIB in accordance with Section 13 of the Islamic Religious Council Act and Kadhi Court, Chapter 77 for a period of three years from August 1, 2017 to July 31, 2020. BANDAR Seri Begawan (BSB) has been ranked as Southeast Asia’s third most liveable city after Singapore and Kuala Lumpur. The capital city of Brunei is placed number 100 in a global ranking of most liveable cities. 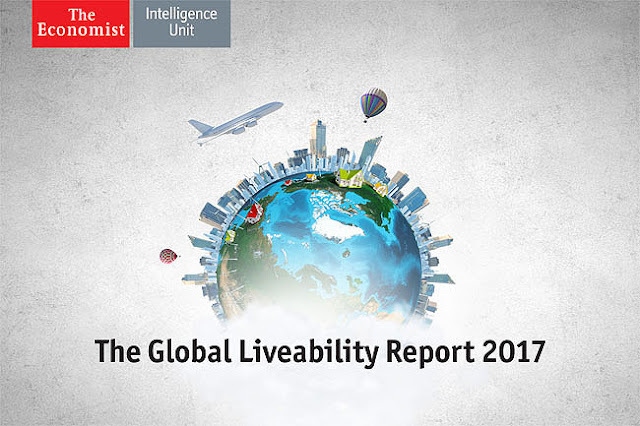 The latest Global Liveability Ranking released by the Economist Intelligence Unit (EIU) this week puts Bandar Seri Begawan ahead of Bangkok (No 102), Manila (No 104), Jakarta (No 118), Hanoi (No 119), Ho Chi Minh City (No 122) and Phnom Penh (No 123), thanks mainly to improvements in infrastructure. “Half of the improving cities are based in Asia where Shanghai, BSB, Phnom Penh and Colombo saw improvements in their rankings in the past year, which the survey attributed largely to infrastructural improvements and broadening cultural availability,” EIU said in its report. BSB’s latest ranking shows an improvement over last two years. The Sultanate’s capital ranked 101 in 2016 and 2015. It was on 8 July 1967 when it was reported that the Pelompong Spit will be split to allow ships to pass through to the new Muara Port. JULY 8, 1967 – A canal will be cut through Pelompong Spit to give ocean going ships access to Brunei’s new deepwater port at Muara. Test drilling for foundations has begun on the proposed site of the port works. It will soon be extended across the spit and out to sea to check that there is no rock formation to interfere with the course of the canal and its approach channel. Drilling is also under way on Pulau Muara Besar opposite the port site. The western side of the island may be developed to handle repair facilities for shipping using the port. The port scheme prepared for the Government by its consultants, Sir Bruce White, Wolfe Barry and Partners, provides for more than 1,5000 ft of berthage. ON AVERAGE, there were 10 students to a teacher across schools in Brunei Darussalam last year, according to the 2016 Education Statistics and Indicators Handbook from the Ministry of Education (MoE). The statistics, which was revealed this week, showed that last year saw an average of 443 students and 44 teachers per school. As of last year, the number of schools stood at 252, while the number of students totaled 111,698 and teachers 10,985. 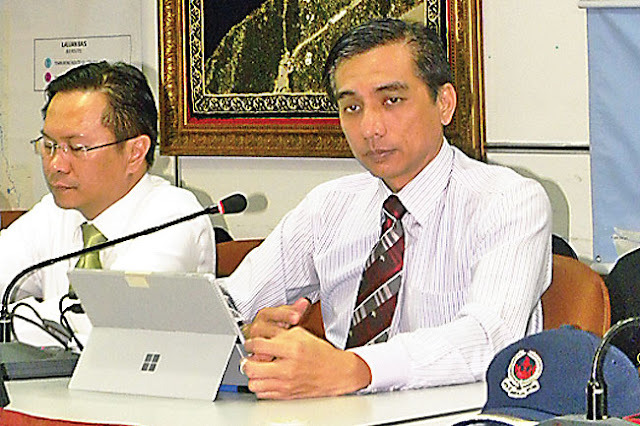 Brunei-Muara District surpassed other districts with 158 schools, 85,846 students and 8,188 teachers; followed by Tutong (with 42 schools, 9,483 students and 1,109 teachers); Belait (38 schools, 14,407 students and 1,436 teachers) and Temburong (14 schools, 1,962 students and 252 teachers). There were 192 pre-primary and primary schools last year (compared to 195 in 2015), while the secondary and sixth form centres maintained at 40 schools for both 2016 and 2015. 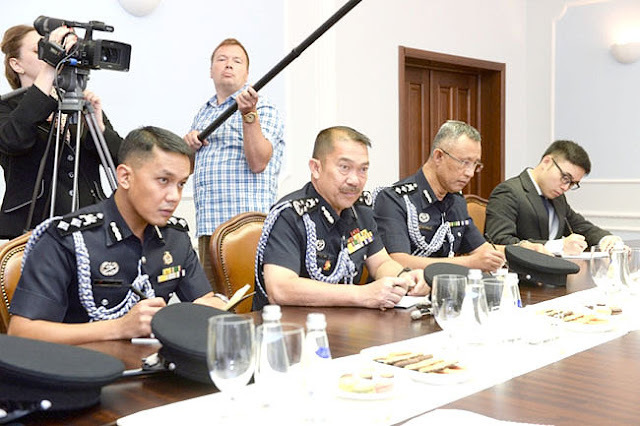 Kolokoltsev focussed on the expansion of collaboration between the Russian MIA and colleagues from Southeast Asia which was promoted by granting in 2014 the Russian party the status of a dialogue partner to the Association of National Police Forces of the Asean region, which includes Brunei Darussalam. 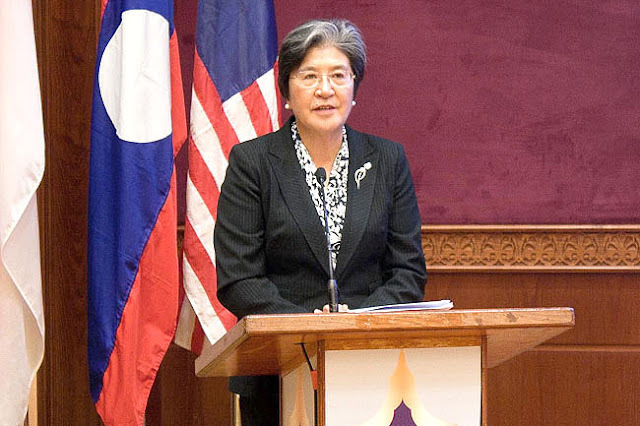 According to the minister, the comprehensive cooperation is developing, including within Russia-Asean meetings of senior executives on combating transnational crime, the Working Group on Combating International Terrorism, the Asean Regional Forum on Security and Aseanapol. 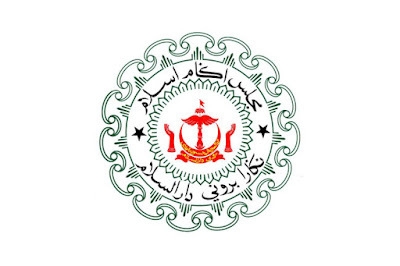 BRUNEI Darussalam is important in the Association of Southeast Asian Nations (Asean) and will continue to make a tremendous positive contribution to the grouping. 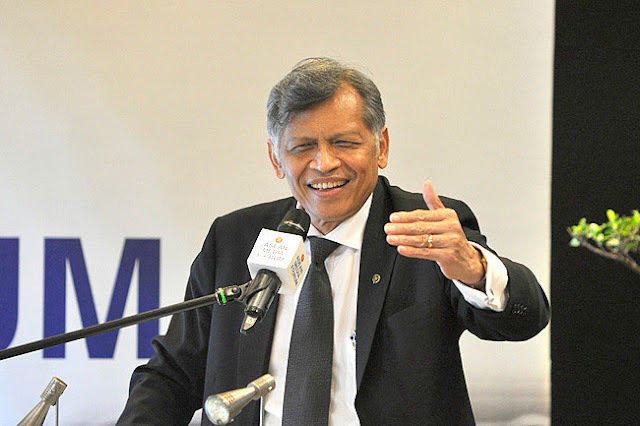 Dr Surin Pitsuwan, the former secretary-general of Asean and former foreign minister of Thailand, shared this with the Bulletin on the sidelines of the recent Asean Media Forum in Manila, the Philippines. Asked for his thoughts on Brunei’s role in Asean, he said, “I think the fact that you get along with everyone well and the leadership has been long-lasting in collecting a lot of experiences, would give Brunei a continued contributing role into the Asean process. It is normal to see – in the event of an accident in this country – motorists from both lanes slowing down their vehicles to check and have a look on who is/are involved in the accident, and this creates traffic jams, causing employees to arrive late for work,” Pengiran Mohammad Amirrizal pointed out. “On average it takes a maximum of 110 minutes to disperse an accident. This includes contacting the police, conducting of accident assessment by the police, waiting for the tow truck, and placing the vehicle on the tow truck. 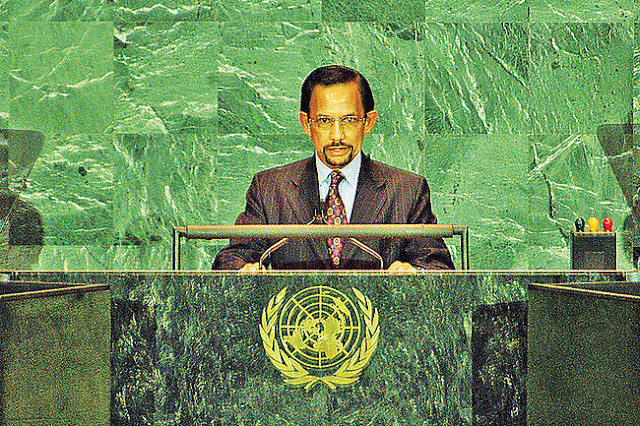 BRUNEI is an important member of Asean, as well as an active promoter and contributor to regional peace, development and prosperity. This was said by Yang Xiuping, the Secretary-General of the Asean-China Centre (ACC) in a speech during the Trade Dialogue on ‘Asean Beyond 50: Benefits, Opportunities and Challenges’ at the International Convention Centre in Berakas over the weekend. She said, “Brunei has unique advantages in economic cooperation with the regional countries and beyond. AUGUST 6, 1977 – There is a part of Brunei in the heart of this huge city which is a showpiece to other countries. This is the five-storey Brunei House, a palatial building and by far the finest student hostel in Britain. New arrivals in England immediately feel at home after walking through the glass doors as they are almost bound to see some familiar faces from Brunei. The building accommodates up to 170 students, with at least 100 usually in residence. But it is not merely a hostel. 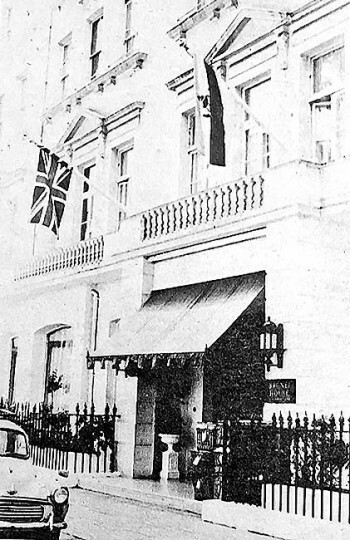 It is more of a social gathering point for all Bruneians in Britain, with the busy restaurant serving up to 270 meals at a time. 1. The global economy continued to expand, though at a relatively moderate rate. Growth in the U.S. is likely to accelerate in Q2 2017 following an under trend performance in Q1 2017. Growth and near-term growth prospects have improved in the European Union and Japan. Among Asian economies, the economic expansion in China remained close to trend, while India's economic performance improved, further benefiting from the decline in inflation. THE iconic Royal Regalia Building in the capital was officially declared as an Asean Landmark in a colourful ceremony last evening, which was also held to mark the 50th anniversary of the 10-member country bloc. Present as the guest of honour was Minister of Culture, Youth and Sports, Pehin Datu Lailaraja Major General (Rtd) Dato Paduka Seri Haji Awang Halbi bin Haji Mohd Yussof who is also Chairman of Asean Ministers Responsible for Culture and Arts (AMCA) 2016-2017. Top diplomats from Asean member countries and its dialogue partners were also present. 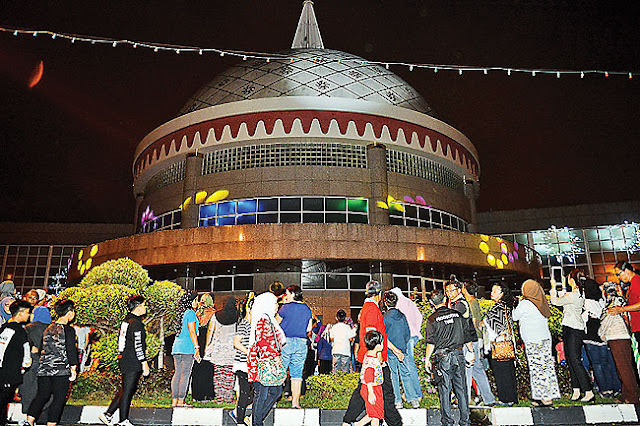 Hundreds of spectators witnessed the event held in front of the Royal Regalia Building that was lit in a colourful laser light show to mark the occasion. BRUNEI is one of the oldest Malay empires that has existed since the Sixth Century, according to historical Chinese records. Few of the well-known empires in the Malay world include Funan, Campa, Langkasuka, Old Kedah, Negeri Gangga, Angkor, Jambi, Pan-Pan (Kelantan), Sriwijaya and Tanjung Pura. The majority of these empires were influenced by Hindu-Buddhism, but were later introduced to Islam by the third Khulafaur Rashidin, Saidina Uthman bin Affan in the Seventh Century, with Islamic influence spreading throughout Asia to the Far East. Through the pages of Brunei’s history, it is acknowledged that we had practised a monumental tradition of monarchy for over 1,400 years – a legacy where the Brunei government had influenced the Malay civilisation before the advent of Islam.